Wall Clock of different variants and sizes. 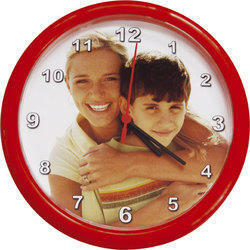 Backed by rich industry experience, we are engaged in providing a premium quality range of Printed Wall Clock. Our range of Printed Wall Clocks with company Logo is widely appreciated by our client. 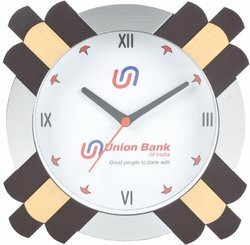 These clocks with logo exude a sense of sophistication and charm in the ambiance and catch the attention of everyone immediately. Our Clock is known for their unique appearance and prints that are provided under the strict vigilance of our technocrats. Good times comes with a golden watch. 18" 2500 and 24" 3000 plus shipping. Book yours today.